See what's hot on the eBay bidding floor in this edition of This Week on eBay. Another Wednesday brings us another look at a few hot sneaker items found within the eBay market. 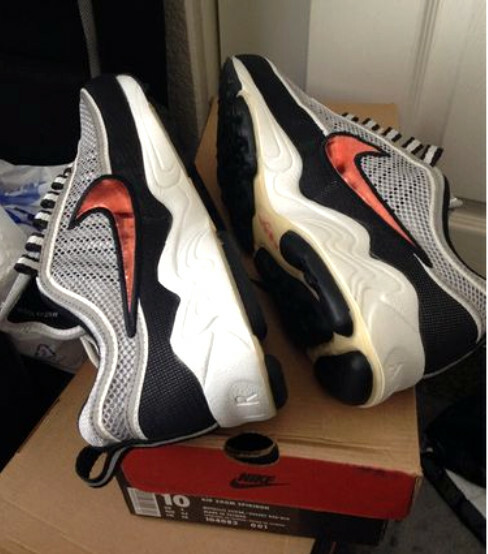 We managed to track down a few more unique sneaker finds presented for your bidding pleasure, including a beautiful pair of Nike Air Spiridon runners and rare cross trainers from both adidas and Nike. Of course, we also didn't forget the Fakes of the Week. 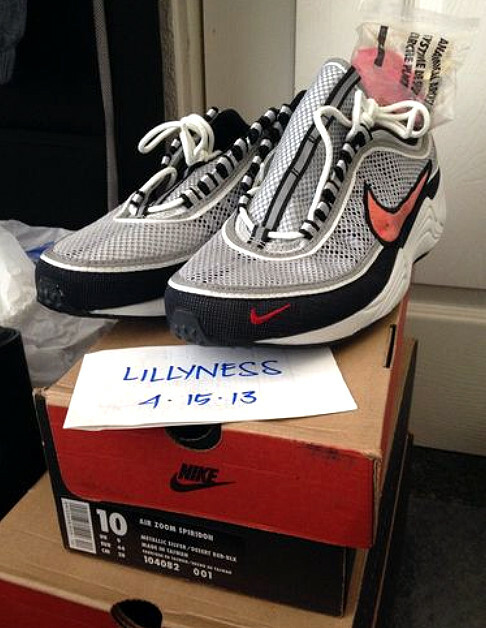 While we all wait for another retro round of the Zoom Spiridon from 1997, the originals get harder and harder to find, especially in deadstock condition. This pair is a beauty! We'll leave it up to you if the $229 price tag is worth it. Just last week we had the awesome adidas Keyshawn Johnson trainer, and this week we happen to have another great cross-trainer from the Three Stripes with this deadstock pair of the Super Trainer Mid. You definitely won't see these come around very often. 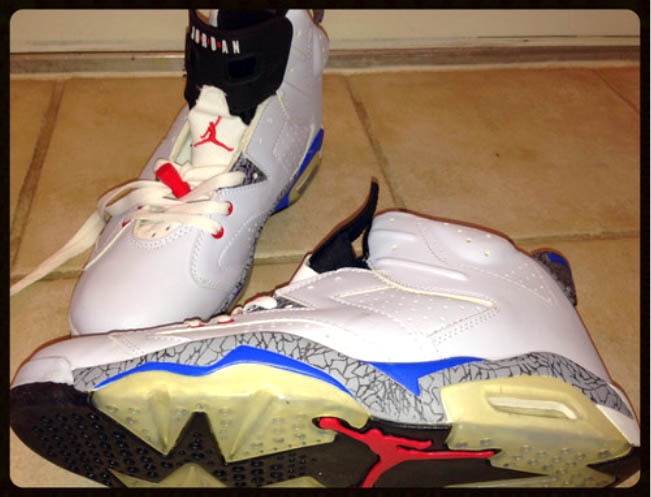 If you're a size 10.5 you can own these for only $150. Act fast! 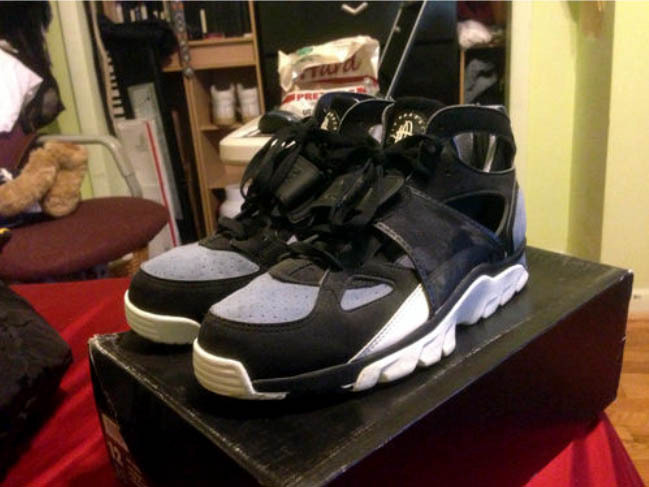 Here we have the original Nike Air Trainer Huarache from 1992 in close to perfect condition, and at only 99 cents. You might want to click that "Add to Watch List" link if you're a size 12. 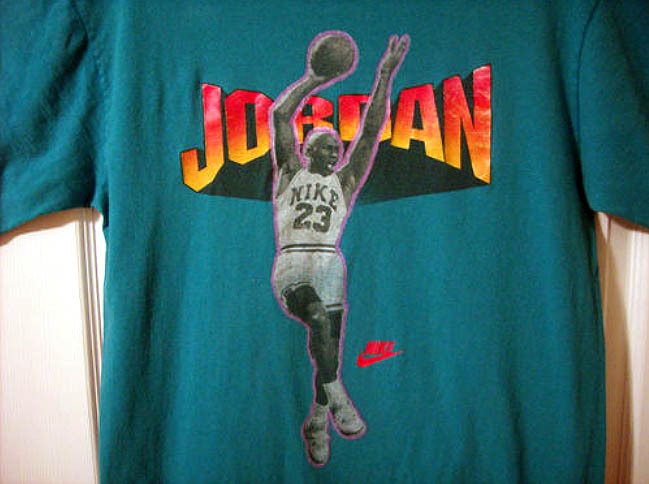 MJ on a dope vintage shirt wearing the Air Jordan IV. What more do you need? 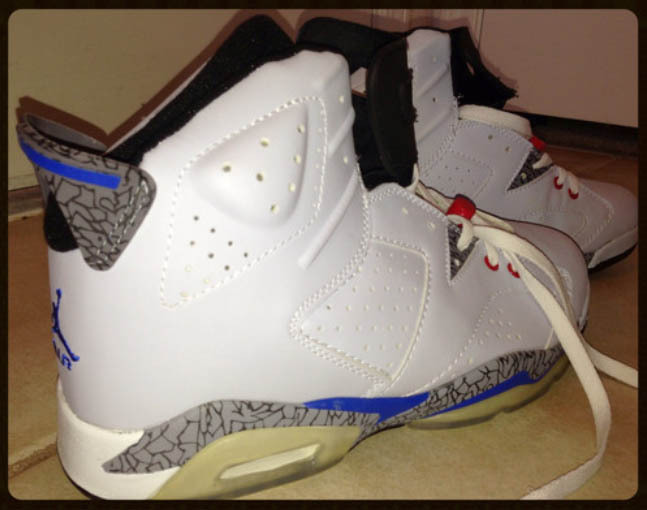 Air Jordan 6 "Un-True Blue"